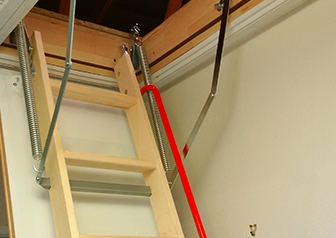 We only use the best quality loft ladders available. These are fitted by fully trained fitters and all work is fully guaranteed . We only use the highest quality tongue & groove boarding which is professionally installed by time served tradesmen and all work is fully guaranteed. We supply and fit loft hatches & loft doors of all shapes and sizes and if you do not already have a hatch we will create one for you. All work is fully guaranteed. Professional loft lighting services - We are able to install loft lighting solutions to make your loft more accessible. Great service. Arrived on time and only took a couple of hours. Workmen were very courteous and tidied up leaving no mess at all. Very pleased with our loft ladders giving us much needed storage space. Excellent value for money. 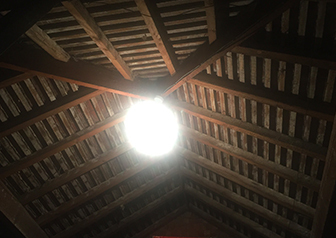 I highly recommend YLL if you want your loft boarded out, it’s easy to book a quote with them, very reasonably priced, easy to pick a date for the work to be done, the work is done in an afternoon & its really neat & tidy, no mess left & a super looking boarded loft…no hassle, user friendly! Thanks YLL! 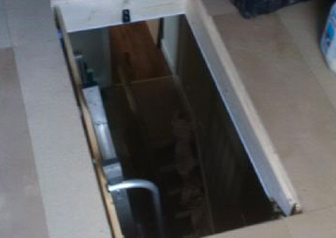 “Paul and Dave have this week extended my loft opening, boarded my loft and installed a loft ladder. Just a run of the mill occurrence for some but I live in a tiny terraced cottage, over 160 years old with a really shallow loft you can only stand up in one place and with an opening that has to come into my bedroom because there is no landing area. I didn’t think it could be done, but they have and I now have a home for the suitcases, Christmas tree and decorations and any number of other items I don’t really need. Their task was made even harder because nothing in the house is straight but they did it without complaint, without stopping until it was right and only asked for a cup of tea when the soot and dust got the better of them!! I would highly recommend Yorkshire Loft Ladders, Really appreciated and really pleased with our boarded loft and wooden ladder -its made such a difference to our home ! I write this note to say a big thank you for the recent, excellent service I received. From the outset I was able to gain easy contact and communication from Paul who provided prompt and efficient help and guidance. I really feel that he was professional and informative throughout the whole process. The loft has been boarded very well and both myself and my husband are very happy with the overall result. 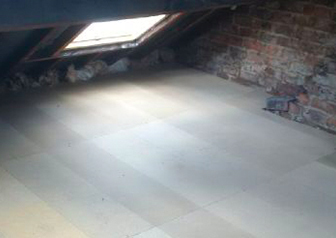 “Paul did a great job on my loft above our new extension. This telescopic type ladder system that he suggested was the perfect solution to the problem that I had getting into the loft over a single bed. The boarding he used was also ideal. His price was excellent compared to quotes from builders and joiners. Also I never would have known about the telescopic ladder had Paul not suggested it. Great job would definitely recommend.